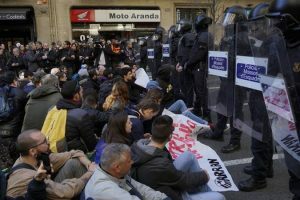 The Spanish state faced a regional revolt in 2017, with an unsanctioned referendum on Catalan independence called by the local administration against the wishes of the Madrid government. Following on from the referendum, senior officials in the Catalan government are now on trial for “rebellion” and “misuse of public funds”. 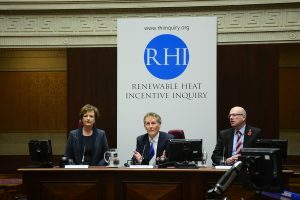 Allegations are flying about who was responsible and who knew what in regards to the Renewable Heating Incentive scheme (RHI), which saw businesses like the Ferrari showroom in Belfast being kept cosy at a profit using public funds. A brother and two cousins of former DUP special advisor Andrew Crawford acquired 11 boilers under RHI. Crawford admitted sending a confidential document on the scheme to a cousin. This has rightfully provoked a huge outpouring of anger, aimed at the DUP in particular, who looked to be tied to the schemes implementation. 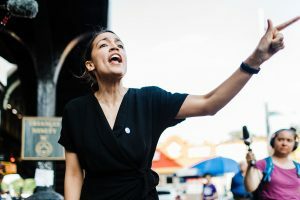 Millions of workers and young people are not satisfied with the Democratic Party strategy of “wait till November” (for midterm elections) to challenge Trump and are actively organising to combat his anti-labour, anti-women and anti-migrant policies. 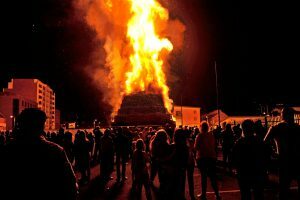 In the aftermath of the Eleventh Night bonfires last year, Belfast City Council passed a Sinn Féin motion authorising the forced clearing of bonfire sites. 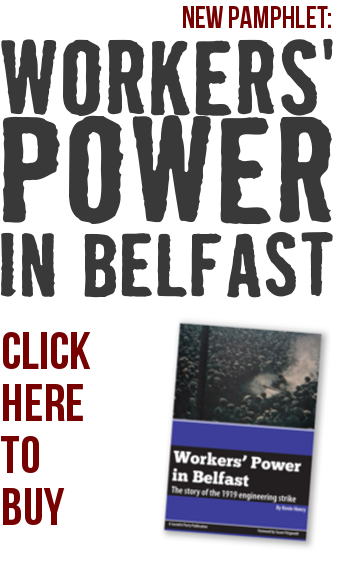 When this policy was implemented against an anti-internment bonfire in the Divis area of west Belfast, it led to small-scale rioting. 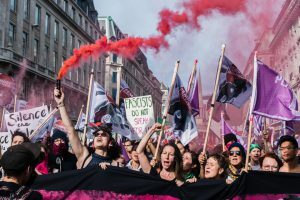 If there is an attempt to do the same this year in Protestant areas – where there is generally more support for bonfires – it will provoke a fierce reaction. On 28th October 2016, a fish trader, Mohsen Fikri, was murdered in Al-Hoceima in the Rif region of northern Morocco following a police check. 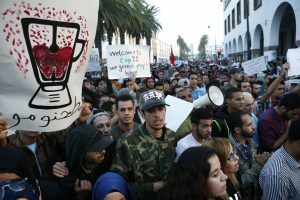 The appalling images of his death caused great anger and launched one of the largest protest movements in Morocco since the Arab Spring mobilisations in 2011.